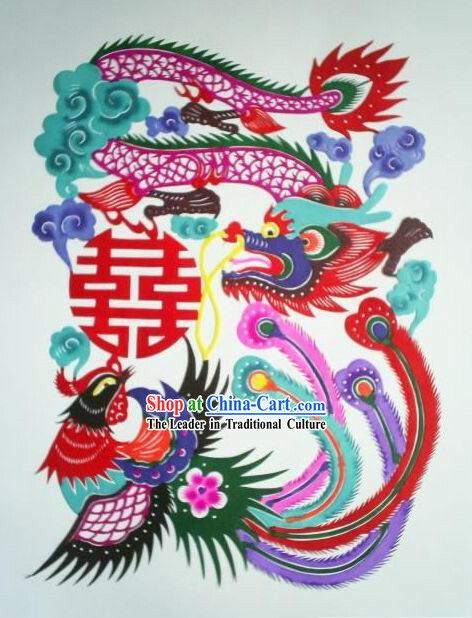 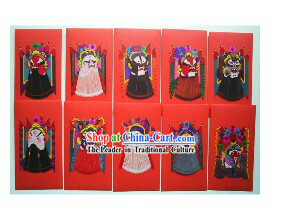 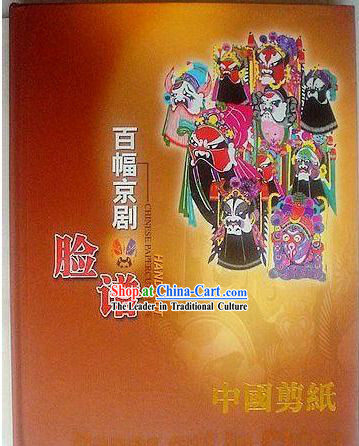 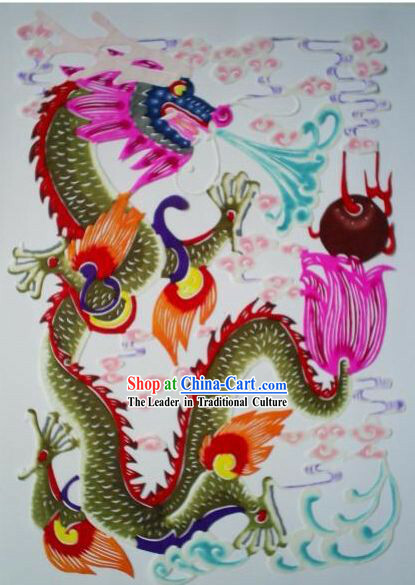 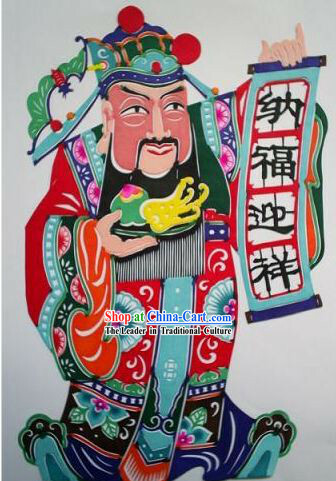 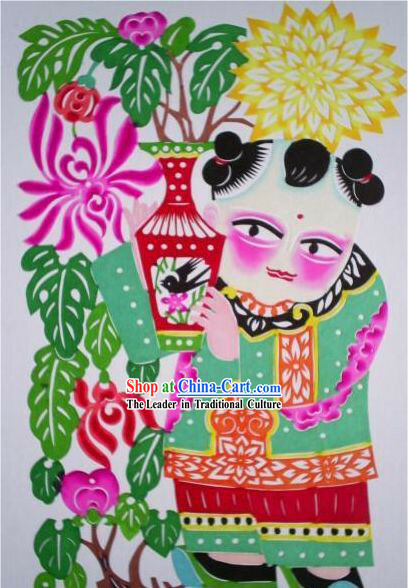 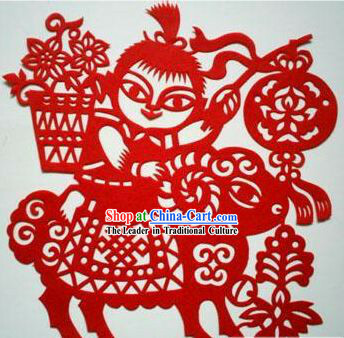 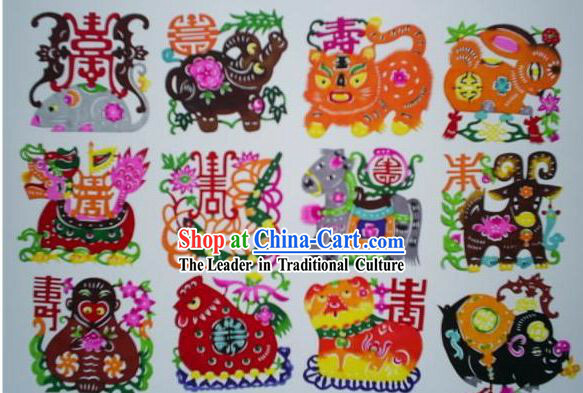 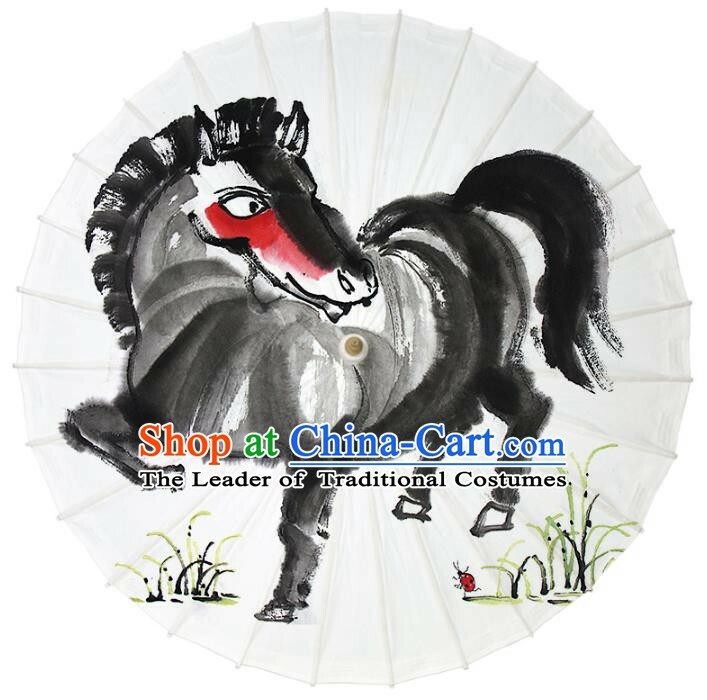 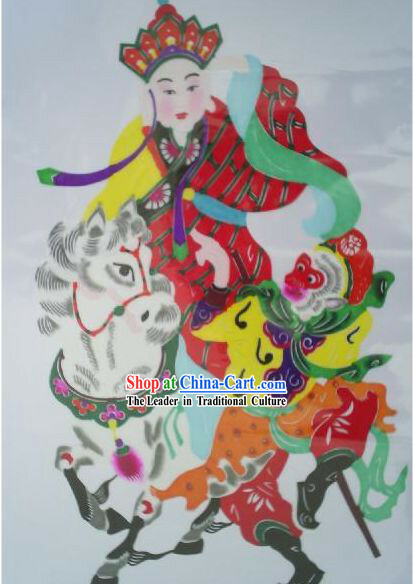 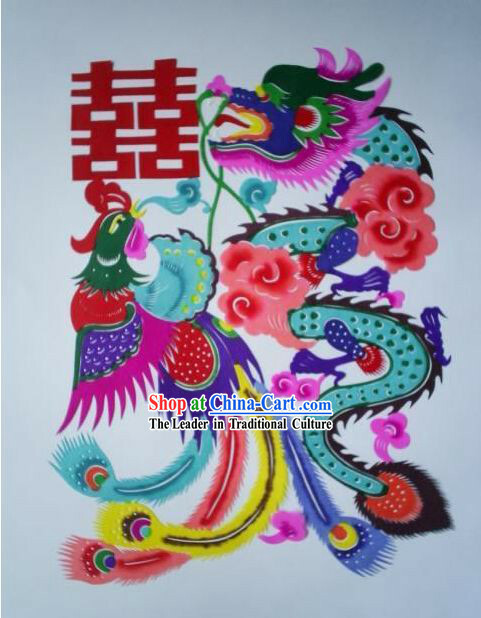 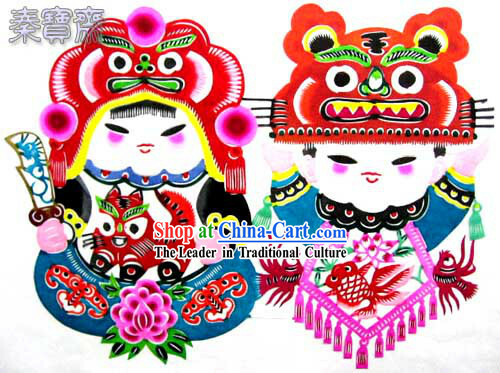 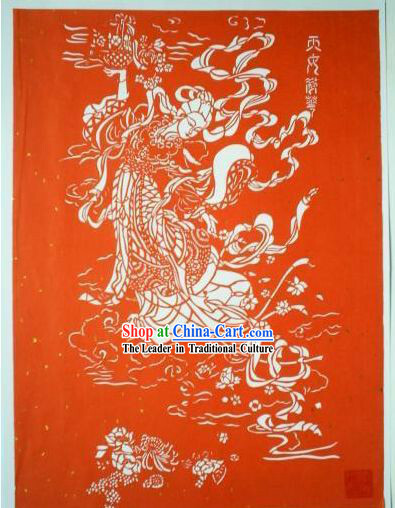 Chinese Paper Cuts also called Scissor-cuts, it is a kind of folk artwork with rich local flavor popularizing in numerous people. 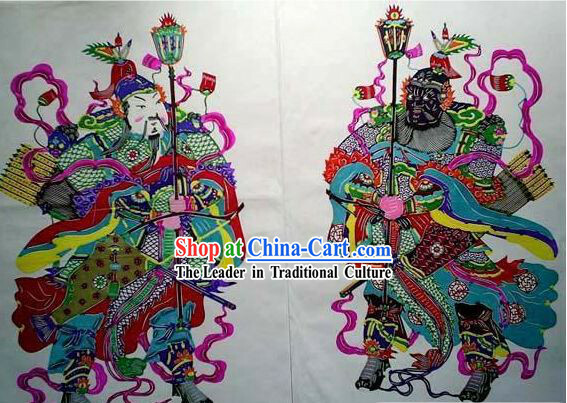 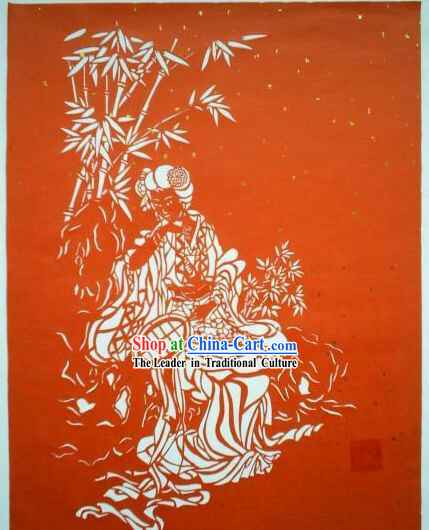 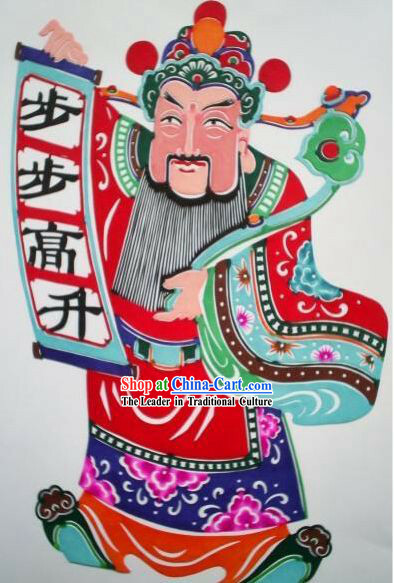 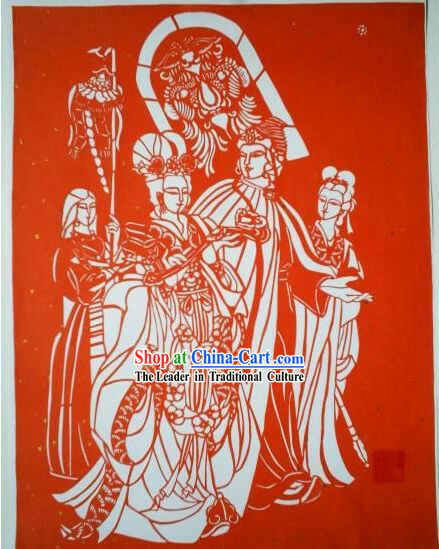 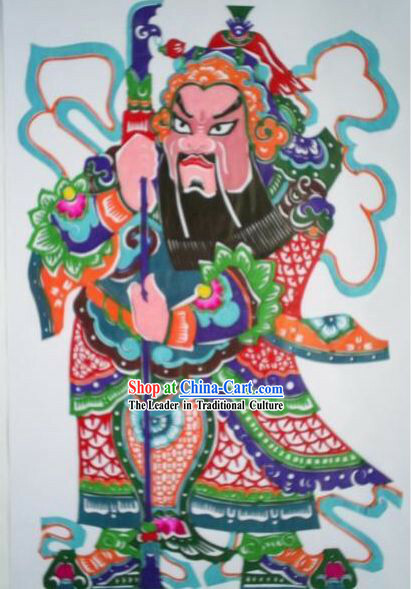 Chinese Paper cuts was come out during the period of Nanbeichao Dynasty. 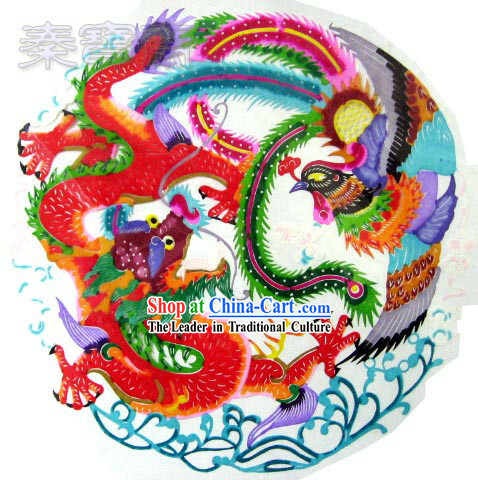 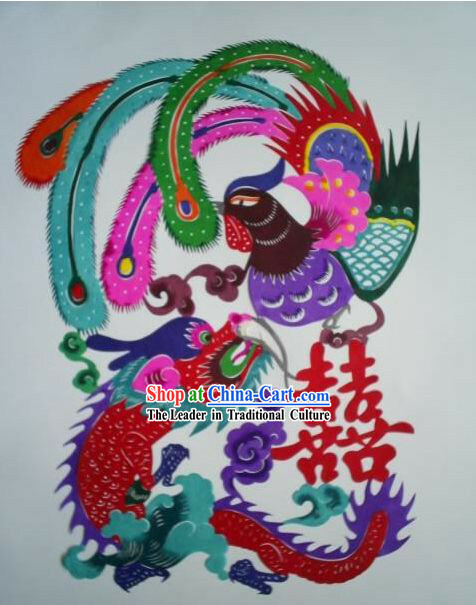 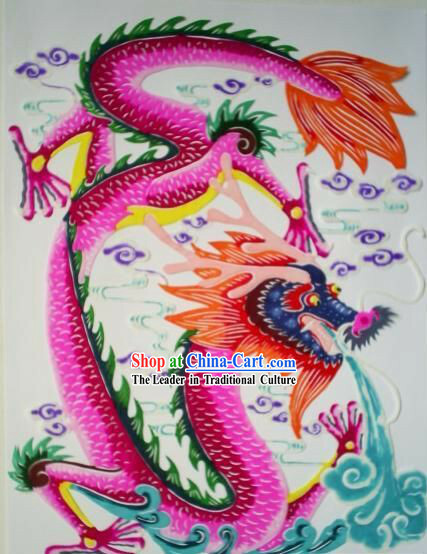 Colorful paper cut by scissors is often used as decoration and forms various artistic styles because of different purposes, such as for window decoration, basket decoration, present decoration and designs. 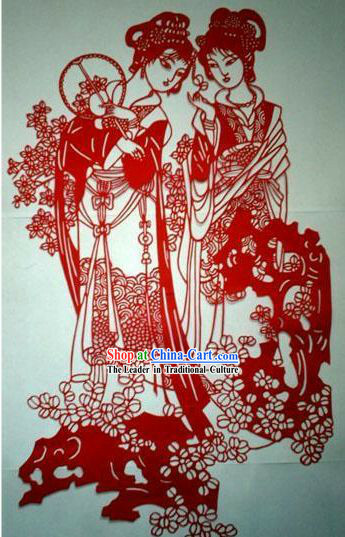 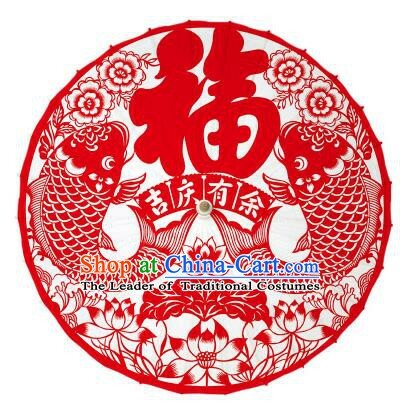 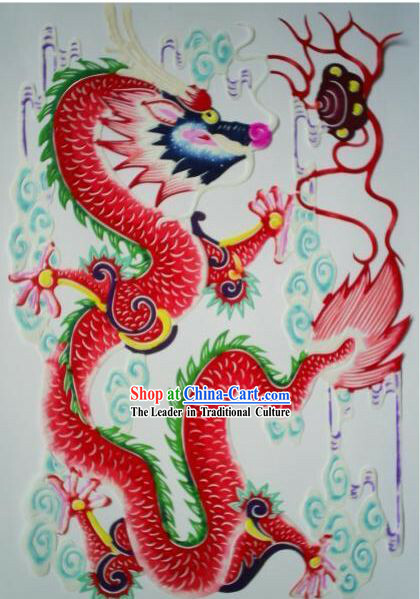 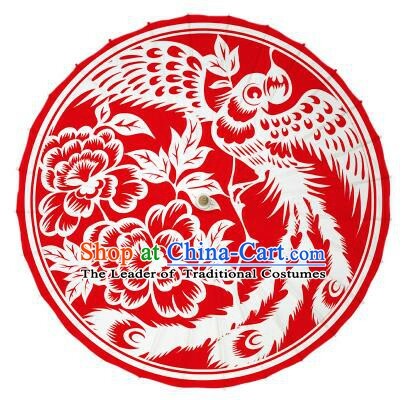 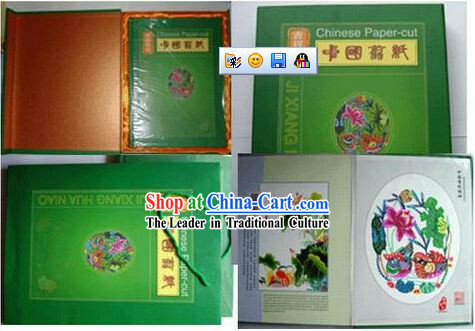 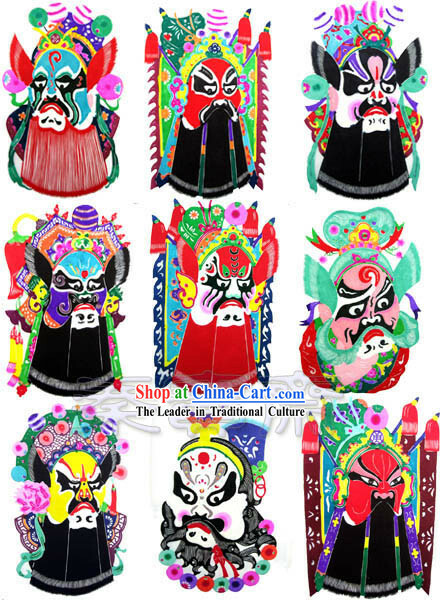 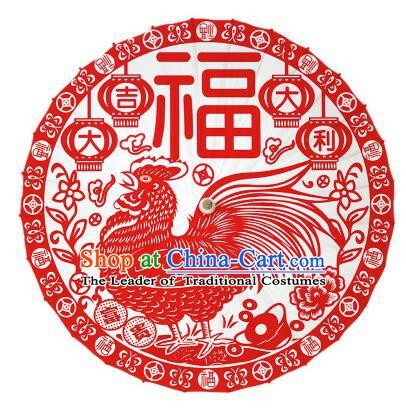 Among them paper-cut for window decoration is the most popular. 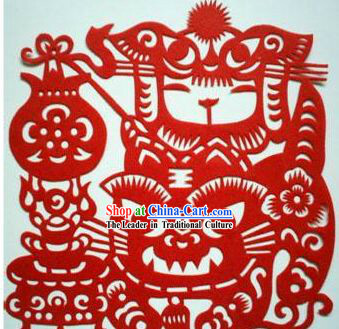 So paper-cut is also called Window Grille. 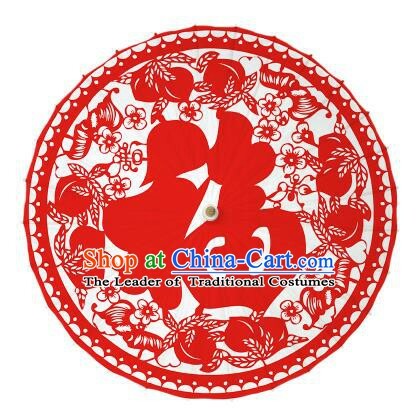 Basket decoration is hanging decoration for festivals. 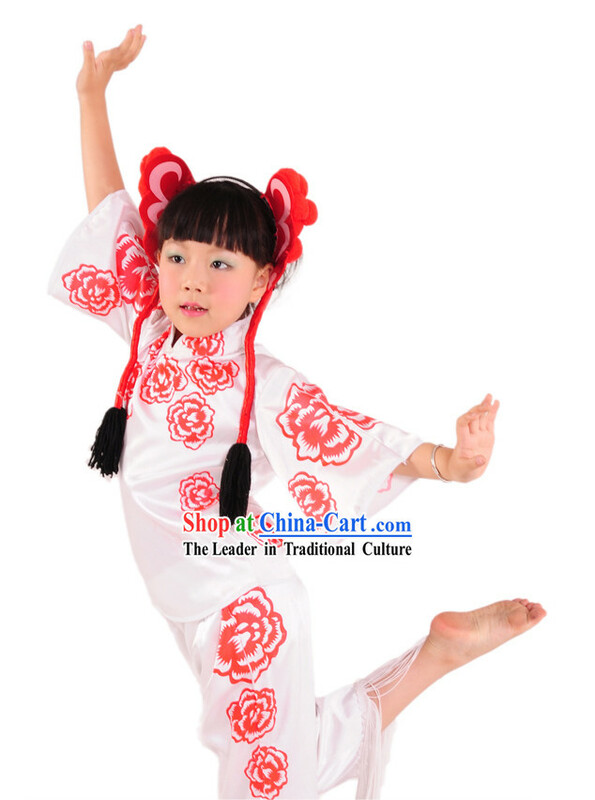 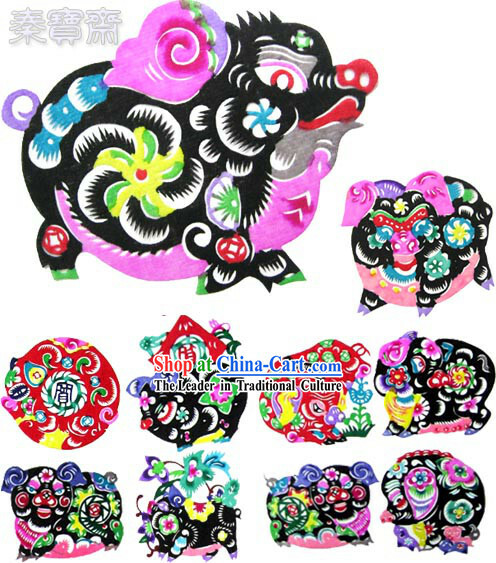 Present decoration is to add color for the present and exaggerate living atmosphere and encourage the people's emotions. 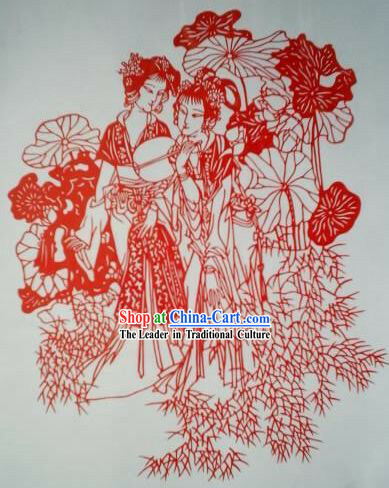 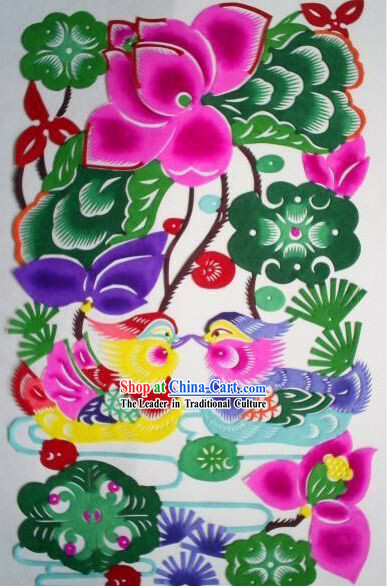 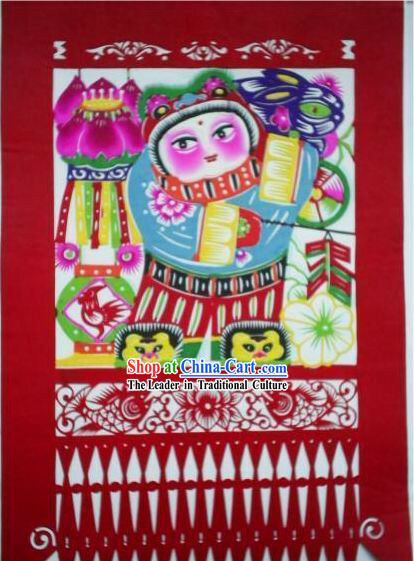 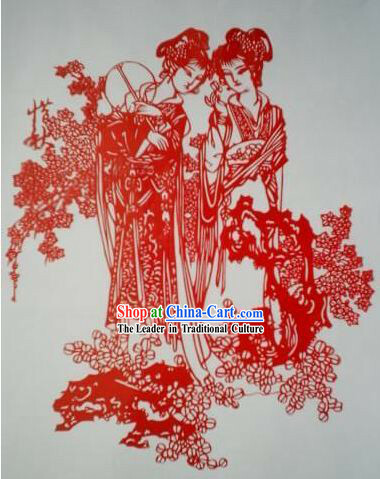 Paper-cut designs are to design the models for folk needlework. 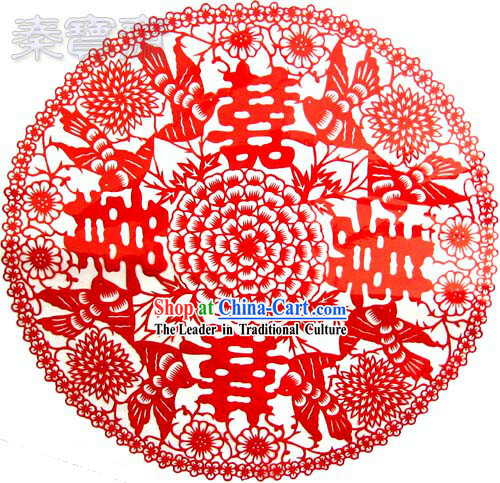 Most of them are red and some are colorful. 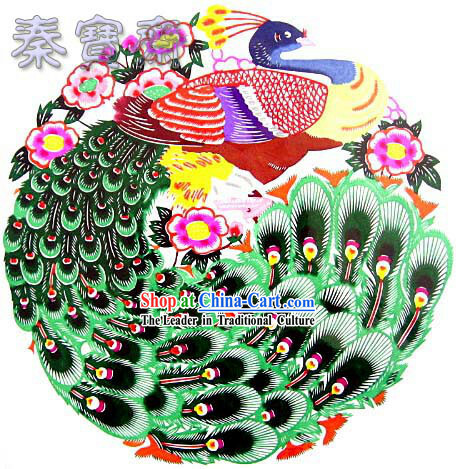 Folk scissor-cut is gentle, lovely and vivid with bright color. 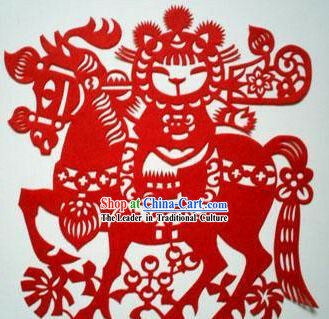 Cut skills are powerful and smooth. 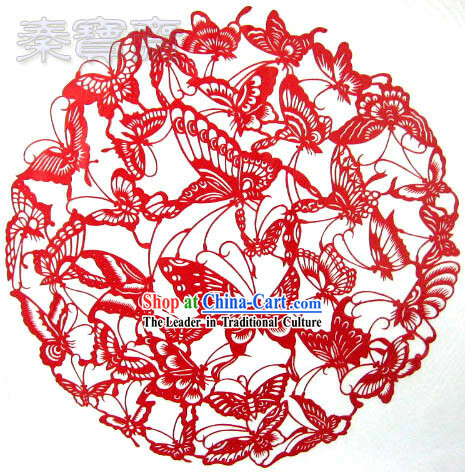 The line is easy. 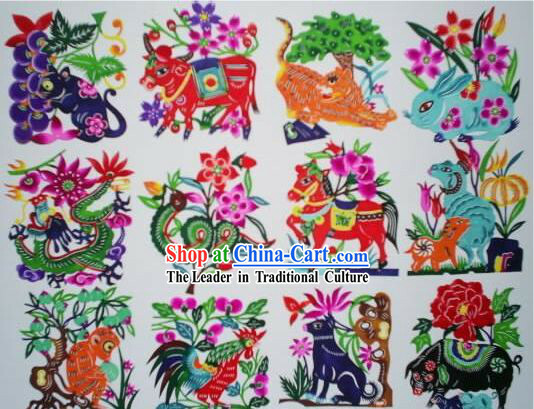 Its subject often comes from the folk and is good decoration.